Resilience is essential in today’s world. In today’s workplace everyone feels pressured to get more work done, of higher quality, with fewer people, in less time, with less budget. In our personal lives things are changing so rapidly everyone must learn how to be change proficient, cope with unexpected setbacks, and overcome unwanted adversities. Resilience is the process of successfully adapting to difficult or challenging life experiences. Resilient people overcome adversity, bounce back from setbacks, and can thrive under extreme, on-going pressure without acting in dysfunctional or harmful ways. The most resilient people recover from traumatic experiences stronger, better, and wiser. Everyone is born with the potential to develop these abilities. The first level is essential to sustaining your health and your energy. The second level focuses outward on the challenges that must be handled, it is based on research findings that problem-focused coping leads to resiliency better than emotion-focused coping. The third level focuses inward on the roots of resiliency — strong self-esteem, self-confidence, and a positive self-concept. 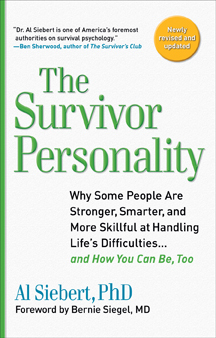 The fourth level covers the attributes and skills found in highly resilient people. The fifth level describes what is possible at the highest level of resiliency. 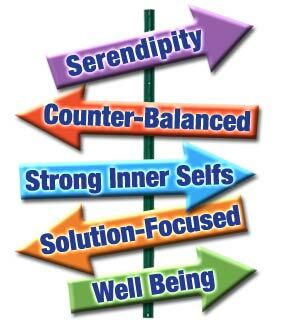 It is the talent for serendipity — the ability to convert misfortune into good fortune. Your mind and habits will create either barriers or bridges to a better future. Resiliency can’t be taught, but it can be learned. It comes from working to develop your unique combination of inborn abilities. The struggle to bounce back and recover from setbacks can lead to developing strengths and abilities that you didn’t know were possible.